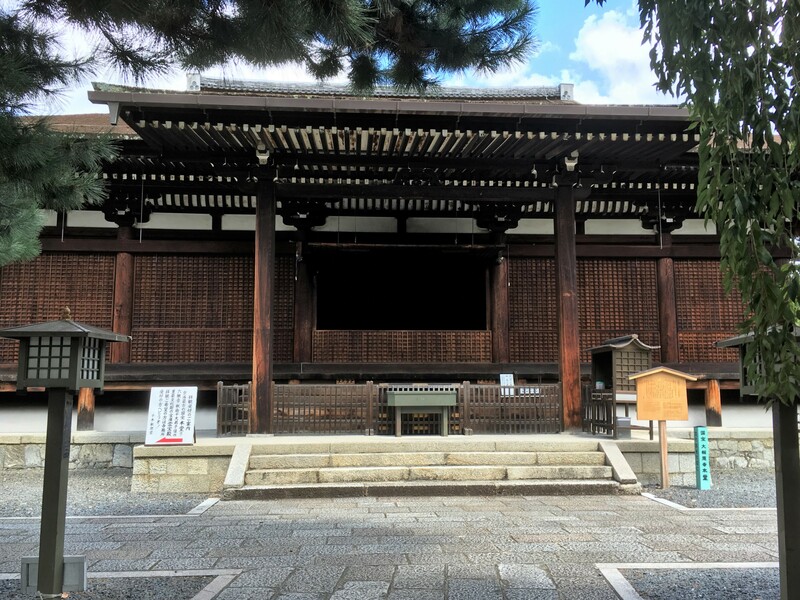 The Onin War devastated Kyoto–burning much of the city to ashes. Even today there are still reminders of this war throughout the city—as long as you know where to look. In the Nishijin district (lit. meaning “west camp”) is a temple that survived not only Onin War but also several large fires. 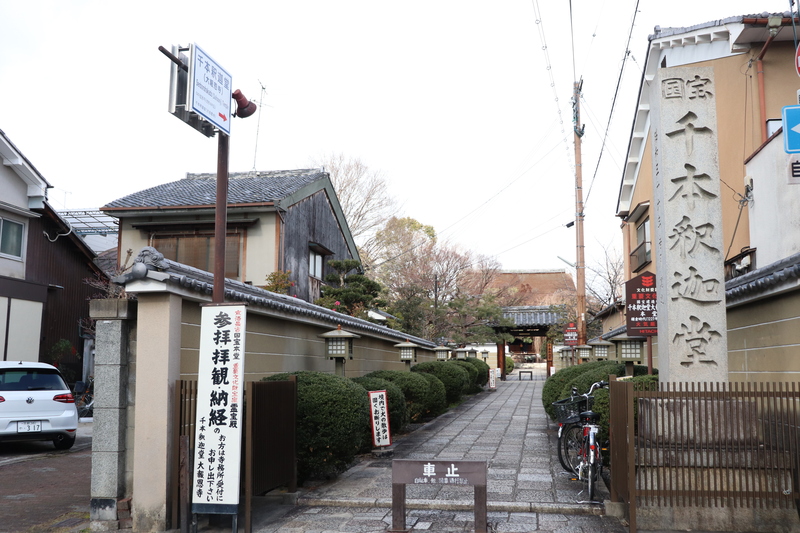 Since the Kamakura Period (14th century ) Daihoon-ji, or better known as Senbon Shakado [千本釈迦堂], has changed little and temple is one of the few remnants of ancient Kyoto. The closest bus stop to Senbon Shakado is the Senbon-Imadegawa bus stop, where Senbon Street and Imadegawa Street intersect. There are many bus routes that come to this bus stop: the #51, #59, #201, #203, #101, and the #102 all go to the Senbon-Imagegawa bus stop. From the bus stop, go up a block and turn left and you will be there in only 2-3 minutes. 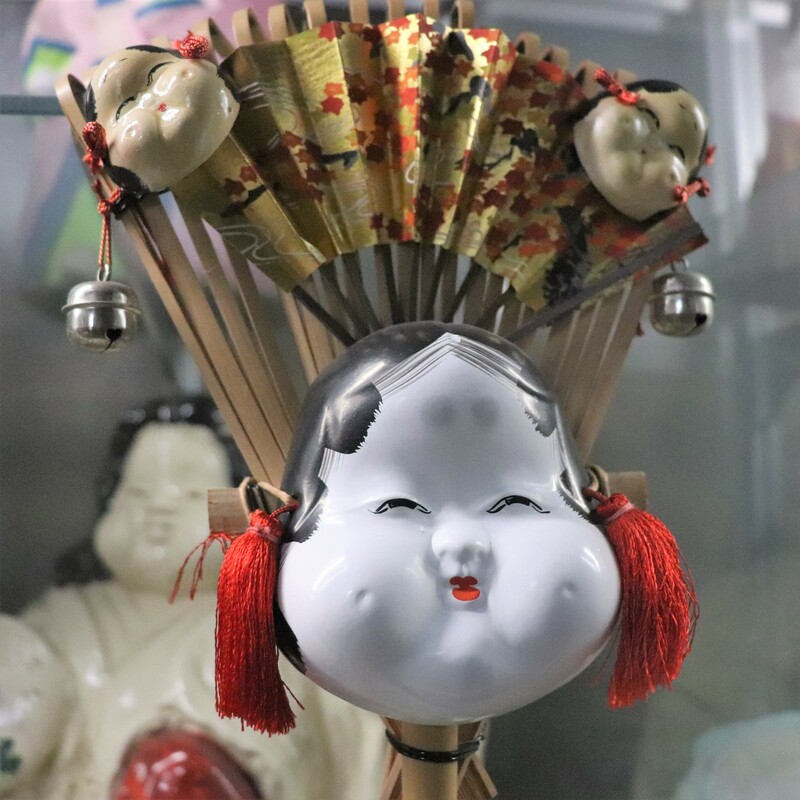 FYI, Senbon Shakado stands quite close from Kitano Tenmangu, Daitoku-ji and many other famous temples and shrines, so be sure to check out those other places too when you visit Senbon Shakado. Upon entering the temple ground, you will see the hondo, which survived Onin War. There is a 600 yen entrance fee to enter the hondo. 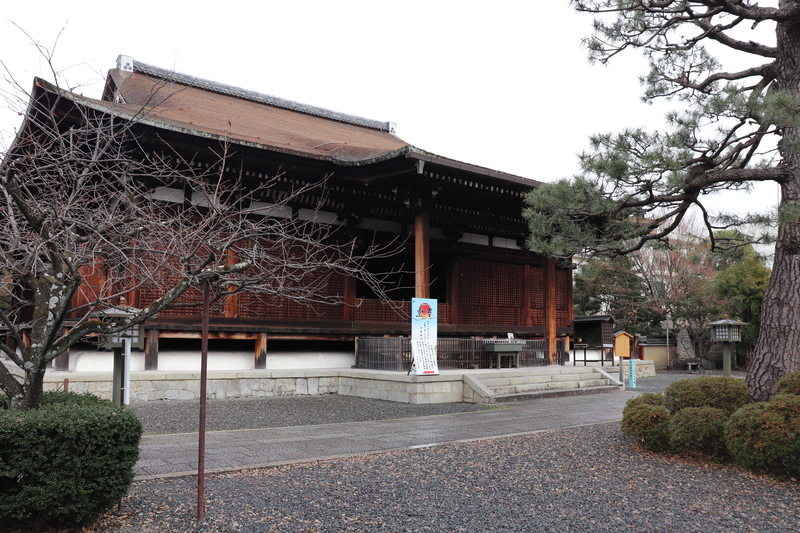 Built in 1227 the hondo clearly exhibits characteristics of the oldest Japanese temple architect style, wayo. 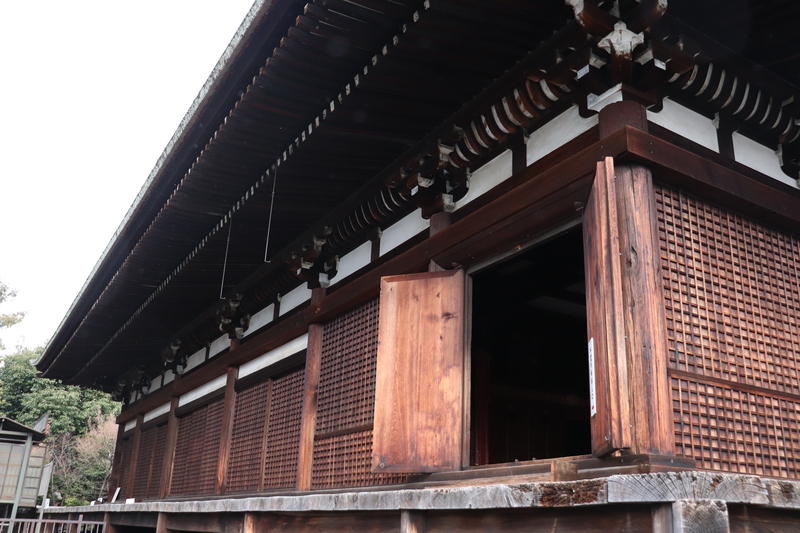 Temples build completely in the wayo style are very rare in Kyoto; making this building a national treasure. 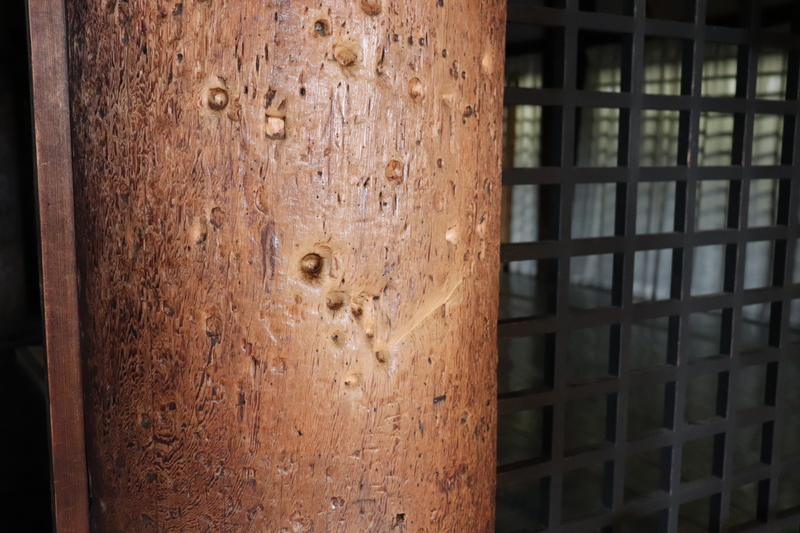 Senbon Shakado predates even other, famous temple in Kyoto, such as Sanjyusangen-do, and as far as I know this is the oldest hondo in Kyoto. 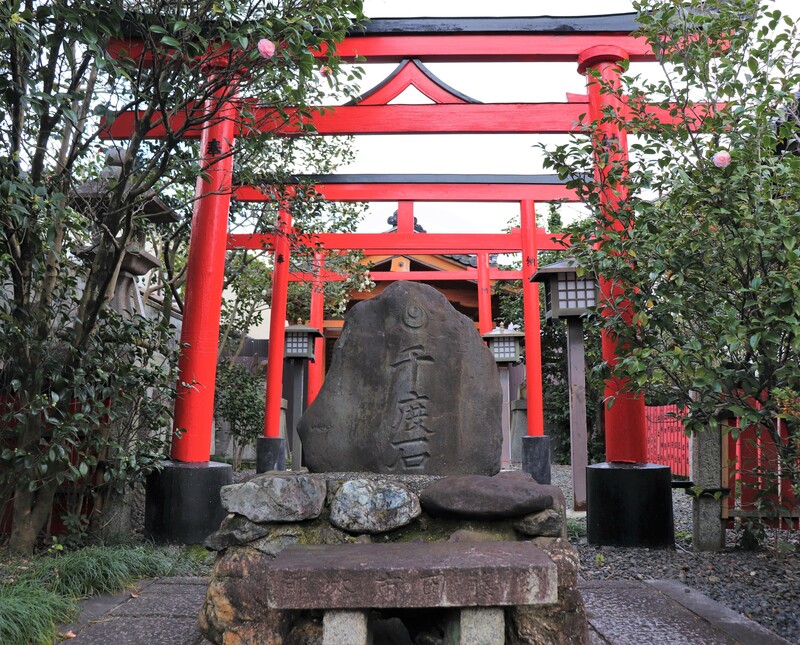 As its name suggests, the hondo enshrines the Buddhist deity Shaka Sanso. The statue housed in the hondo also dates back to the same time period to when the temple was built. Unfortunately, the statue is not open for public viewing. 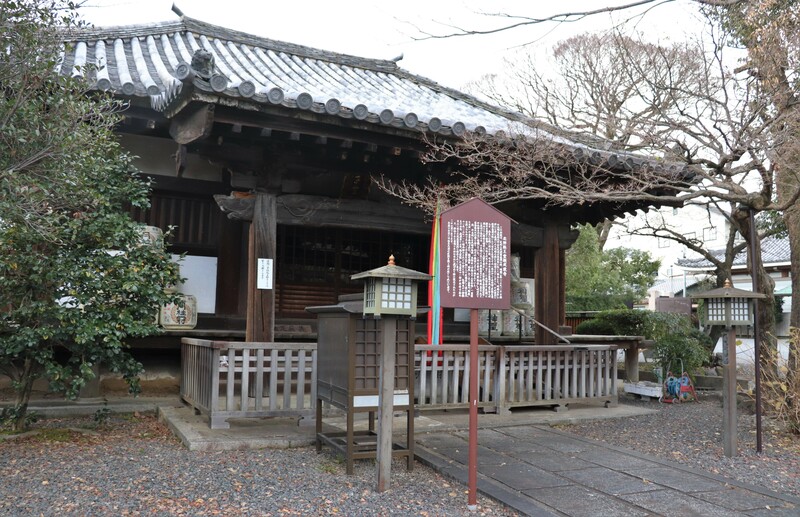 Kyoo-do Ganjyojyu-ji: little temple to commemorate the death of Yamana Ujikiyo, who was killed by Ashikaga Yoshimitsu. 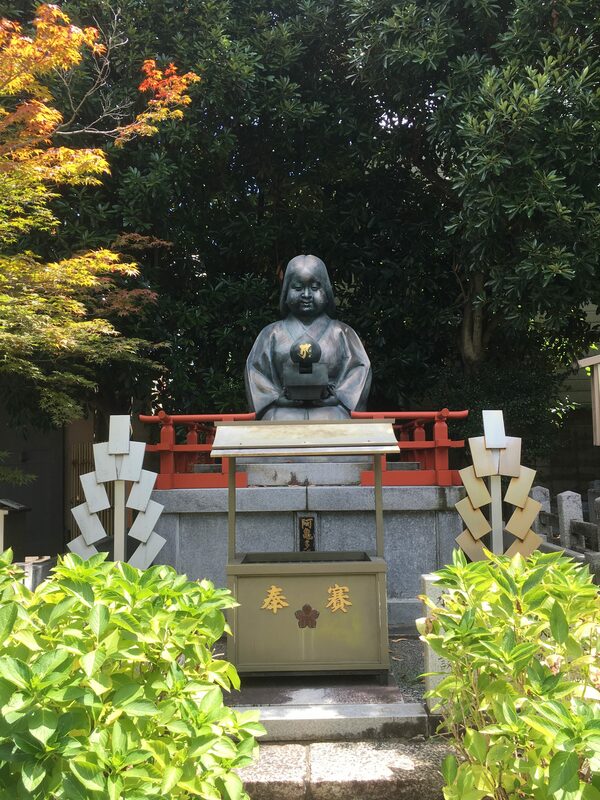 Right next to the hondo, there is the temple’s treasure house, where you can see many old Buddha statues, mostly from the Kamakura Period. 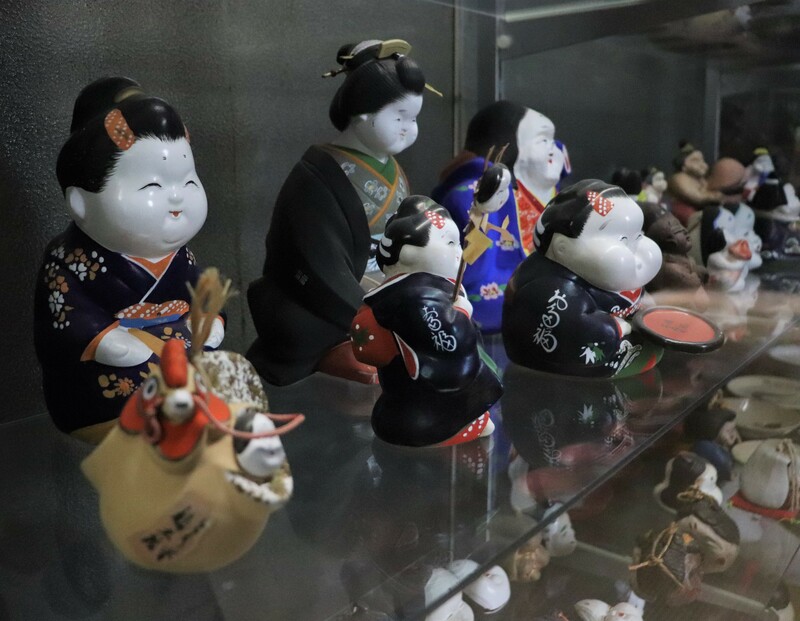 There, you can still see some of the temple’s precious collection of statues, including one by the famous Keiha School. Treasure House: If you pay to get in hondo, the entrance fee to the treasure house is included. It is impossible not to notice the giant statue of a woman on the temple grounds. In fact, her face is everywhere! Her name is Okame, and she is very familiar to most Japanese people. So, why is she here? 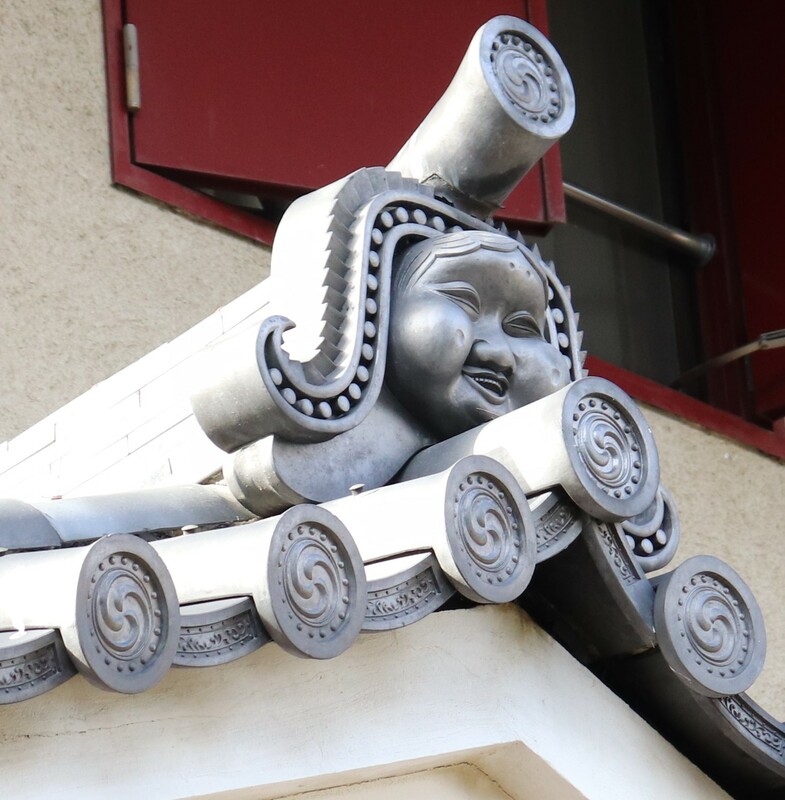 According to temple legend, Okame was the wife of the head architect of the temple. One day, he made a mistake and cut a pillar too short. At a loss, he consulted his wife Okame, who told him he could fix the problem by using additional beams. Thanks to her advice, he finished the temple. 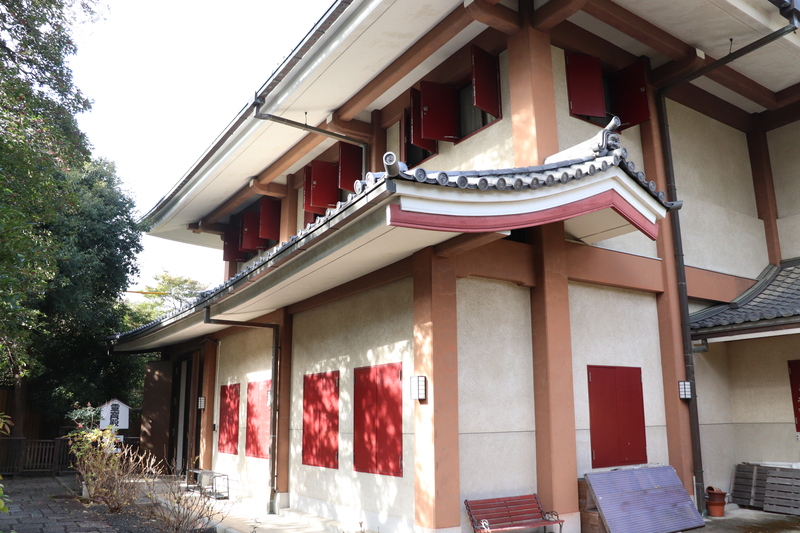 However, Okame, worried that if people suspected that she helped build the temple, her husband’s name would come to ruin. In order to protect his reputation, she committed suicide before people anyone could realize what transpired.